A quick guide that will help you better understand the stages and deliverables through which a customer centric project must be passed. Fill in the form below for the free downloadable PDF. THANK YOU! 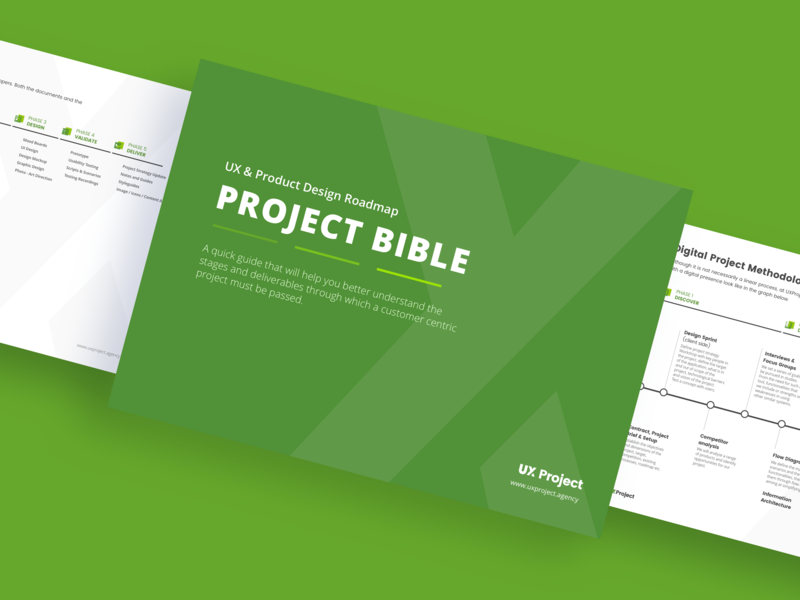 HERE IS YOUR Project-Bible. Ready to download your guide? Just click the button below! Sign up to our newsletter for special offers, unique content or new products! We hate spam as much as you do, so we'll never send you more emails than you want, and you can unsubscribe at any time. Received! You'll start receiving our weekly emails immediately.